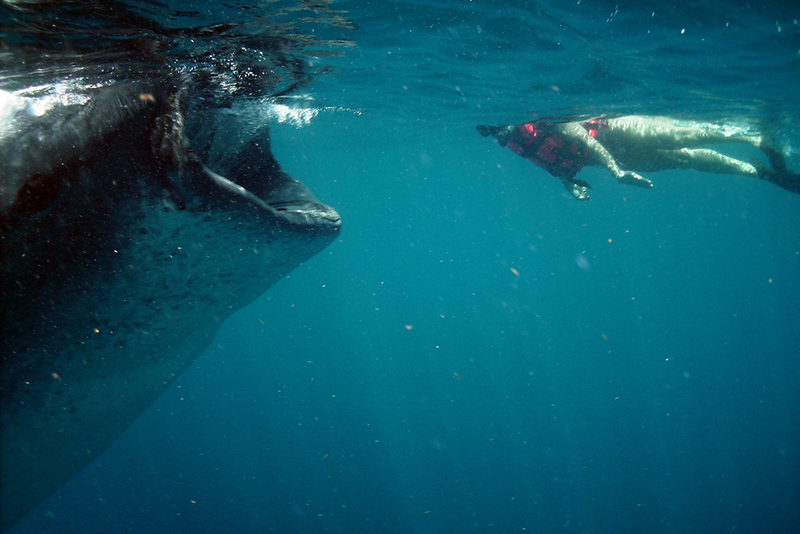 Snorkeling with a whale shark in Isla Contoy, Mexico. Photo courtesy Meg Austin. Meg’s longstanding friendships on select Caribbean islands that offer spectacular resorts—specifically, Anguilla, Antigua, the British Virgin Islands, Dominica, Nevis, St. Barts, St. Kitts, St. Lucia, and Turks and Caicos—as well as on Mexico’s Riviera Maya (on the Caribbean Sea) translate to special treatment for her travelers. That could mean a coveted snorkeling time before the cruise-ship day-trippers arrive, or the last room at a nearly sold-out hotel. 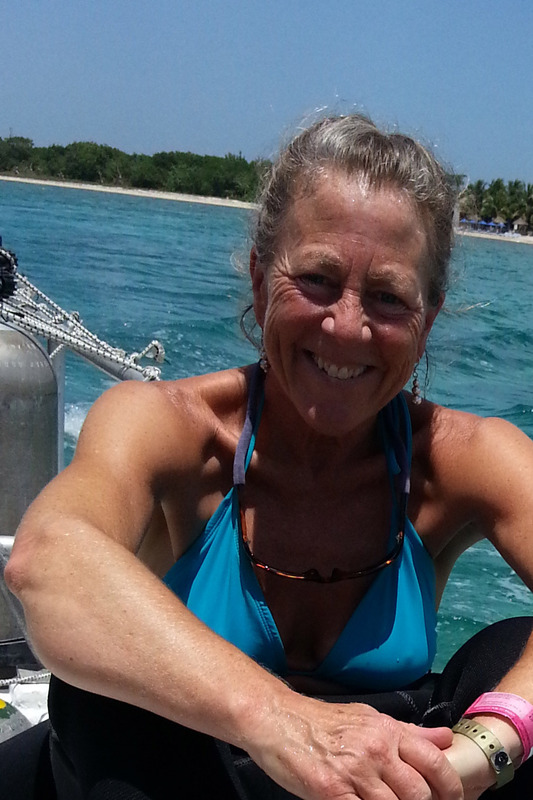 An avid diver and snorkeler, she is your best resource for vacations that you hope to spend mainly underwater. She’s a fount of ideas for keeping everyone in your multigenerational family happy (especially any who want to get SCUBA-certified)—and, after three trips to the Caribbean in the last year, she’s up-to-date on how recent hurricanes have affected the region’s infrastructure and sea life. Trips have a five-night minimum and start at $1,000 per day for two travelers or $1,500 per day for dive vacations..
Not inexpensive but worth every penny and with great added value, the Viceroy Sugar Beach and Jade Mountain, two of St. Lucia’s most luxurious hotels—which also happen to be perfectly located for superb diving, drop their rates in the fall. The same goes for the more low-key Anse Chastenet, Jade Mountain’s sister property. All three are close to the Pitons, the island’s famous twin volcano plugs that don’t just jut up, they jut down too, making for excellent wall dives and shore dives. One of my favorite spots there is the Fairlyand dive, where you’ll see little shrimp and arrow crabs that sparkle gold and blue. For a romantic splurge, book one of the hilltop rooms at Jade Mountain; with only three walls, they offer jaw-dropping views, and many have private pools. Peter Island in the British Virgin Islands (this resort, which offers an all-inclusive option, will be better than ever when it reopens in 2019 after a renovation necessitated by hurricane damage); Magdalena in Tobago (it offers a variety of meal plans); the fully inclusive Barceló Maya Palace in the Riviera Maya; or Iberostar hotels in Mexico, Jamaica, and the Dominican Republic. All have consistent dive operations, but they’re very different from one another, and choosing the one that’s best for you depends on a variety of factors. I can help you decide which one best suits your needs—or suggest others, some of which may not have the best dive facilities, but I can have my dive teams pick you up anywhere so you get the best of both. Amanyara in the Turks and Caicos. Photo courtesy Aman Resorts. For the ultra dive experience as well as ultra luxury, check out Amanyara in Turks and Caicos and Cayo Espanto in Belize. 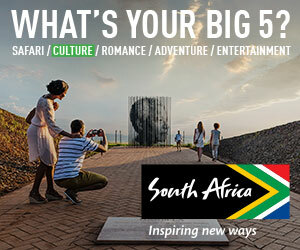 They’re both to-die-for resorts, with excellent dive teams and stellar dive sites. Cayo Espanto, which is a stone’s throw from the second-largest reef in the world, offers all-inclusive dive packages. The Aqua Cat catamaran in the Bahamas does a fabulous job and has wonderful accommodations. Or rent your own crewed yacht with a dive master who will make sure the experience is exactly what you want it to be (see “Bragging rights,” below). Cenote diving, Riviera Maya, Mexico. Cenote diving. Natural pools formed in underground caverns, cenotes are found all over the Yucatan, with the largest concentration in the Riviera Maya. They’re mind-blowing! Everyone should experience them. Some people worry that they’ll feel claustrophobic swimming around the caves, but the water is so clear you’ll feel like you’re suspended in outer space—or in heaven, with all the sunlight filtering in from above. My favorite cenote is called Taj Mahal because there’s a stalagmite there that looks just like the Taj Mahal. Angelita is another favorite: It drops 200 feet straight down, and the saltwater and freshwater are separated by a strange cloud of hydrogen sulfate. You completely disappear in that cloud—there’s absolutely no visibility—and then once you’re through it you see these brilliant rays of light streaming through the hydrogen sulfate. It’s utterly surreal. Even if the weather isn’t great on land, the weather doesn’t change in the cave. Cenotes are perfect year-round! If you go in August, you can even pair your cenote dive with a side trip to snorkel with the whale sharks, since that’s when these amazing creatures visit the Riviera Maya in the greatest numbers. Macro diving. It’s probably not what you think it is. Macro dives are all about looking for tiny sea creatures, little bright critters that underwater photographers love to capture with their macro lenses—things such as sea horses, frogfish, and octopi. The island of Dominica has some wonderful macro dive spots. And while you’re there, be sure to stop by Waitukubuli’s Authentic Kitchen for lunch! I have a love-hate relationship with Cozumel and Grand Cayman. Both can be overrun with passengers from all the large cruise ships that call on them, so the only way to avoid the crowds is to dive during the off-peak times and/or go with a dive operator who knows the secret spots. Here’s a great tip for Cozumel: Palancar Reef is about an hour’s boat ride from town, each way. If you stay at the Iberostar Cozumel you will be able to sleep in, then have a cup of coffee while others are “commuting,” saving you two hours per two tank! When you are not below sea level enjoying the incredible volcanic formations and abundant sea life, stay at the Pagua Bay House, hike the Waitukubuli Trail, or enjoy one of 365 fresh-water rivers and the waterfalls that feed many of them. Shark diving. With its shallow reefs and abundant sunshine, the Bahamas are home to all kinds of sharks and, unlike whale sharks, they’re usually out and about year-round. I personally like to do my shark diving in July and August; it’s the rainy season, but the water is the warmest. St. Lucia’s Anse Chastenet has top-notch instructors and dive masters who can cater to both novice and experienced divers. Children as young as 10 can be introduced to the sport as junior divers, but there are key elements to successfully and safely introducing children to diving. In the Riviera Maya, you can find a diversity of activity both above and below sea level, and the right dive team for young new divers and/or referral course divers. More advanced divers in the group have the option to ferry over to Cozumel for a day. Bonaire. It’s a no-brainer. There are at least 100 easily accessible sites just off shore. My favorite wreck is the Bianca C, in Grenada. It’s known as the Titanic of the Caribbean. I could spend a year diving daily in Turks and Caicos—with its 7,000-plus-foot channels, canyons, walls, nooks, and crannies—and never get bored. During slow periods (namely, mid-June through September or October) several dive resorts allow unlimited shore diving. Southern Cross Club in Little Cayman is just one example. Between Thanksgiving and Christmas is an excellent time to be in the Caribbean. You’ll find great prices, calm seas, and staff sporting big smiles (they’re just emerging from the quiet hurricane season and gearing up for the festive holiday season). Just after the holiday season and before Presidents Day week is another good time to get a deal, though it’s still the high season. During both periods—just before and after the Christmas holiday—the resorts tend to offer all sorts of promotions, everything from free night stays to discounted dive packages. Avoid the peak dive times, when most of the big dive boats go out. That means starting your morning dive at 7 a.m. (instead of the more common 8 a.m. start time) and 4 p.m. for the afternoon shallow dive (instead of 3 p.m.). I also love predawn and night dives. They offer you the chance to see some incredible nocturnal, bioluminescent sea creatures. There are dive spots in Puerto Rico, in particular, where you’ll be surrounded by glow-in-the-dark critters that light up the sea. (The best time to see those are under a new moon). But keep in mind that for the early morning dives you do need to get into the water when it’s still dark out, whereas night dives start at dusk so it’s still light out. Still, you do need to be careful about booking night dives with just any old dive operator—some boats will pack in way too many people or will “park” in an already full parking lot. The last thing you want is to be in an overcrowded dive spot at night when it’s easy to follow the wrong leader and end up in the wrong boat! August, September, and October fall during hurricane season, but my favorite time of year to be in the Caribbean. Storms are rare, the water is usually calm, the visibility generally excellent, and deals abound! Travel insurance is a must, just in case. I also adore being in the Caribbean for the Christmas holidays because it is so festive (especially for families). You will pay top dollar, but what better way to spend family time than on a dive trip, together? Not getting dive-certified before you arrive at the resort. The PADI open-water referral course allows you to do the book and pool work thoroughly and comfortably at your own pace, close to home. Once you get to your resort, you can focus on your ocean dives with a PADI outfitter to complete your certification. Paying full price for the dives. Always ask about packages and see if other family members or dive buddies can be included in the total number of dives. The more dives you commit to, the less you pay per dive. Politely negotiate, especially during slow periods. Relying only on your medical or travel insurance to cover you if anything goes wrong. Diving is considered an “extreme sport” on most insurance policies and rarely covered under standard plans. The Divers Alert Network (DAN) offers various levels of accident coverage; I always suggest divers get DAN’s annual membership, which includes emergency evacuations for diving and nondiving accidents. There are other similar policies from different companies, but DAN is the one I use for my two daughters and me. I pay less than $200 for the three of us for an annual policy—a steal for the peace of mind it offers. Deeper is not always better. Shallow dives (about 30 to 40 feet) have more sunlight, the colors are brighter and you can stay down longer. Relax and enjoy. It is customary to tip your dive-boat team. The suggested minimum is $20 per diver per two tank. Alcohol-based ear drops help keep your ears dry and bacteria-free, and topical Benadryl is good for any allergic reaction (bug bites, sun poisoning, some reactions to fire coral). Capturing the elusive splendid toadfish. Found only near Cozumel, it’s extremely hard to spot—despite its bright yellow trim and distinctive black, blue, and white stripes—but a good dive master should be able to find the very shy toadfish hiding under ledges. Charter your own vessel (anything from a standard dive boat to a fully crewed yacht), where you call the shots: You can request a dawn dive and watch the sea wake up! You will have the ocean to yourself and the chance to see those nocturnal fish without the crowds. The British Virgin Islands have the widest variety of boat charters and are the most reasonably priced. What’s more, with all those islands around, you’ll have plenty of dive sites to choose from.